President Trump and Congressional Republicans took shots at Obamacare for seven years and couldn't kill it. Now Americans are finally telling them to stop. 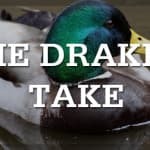 Wyoming Senators Enzi and Barrasso served on the committee that dreamed up “Trumpcare.” Now, Drake argues, they should be held accountable for the mess.